Does free Windows 8 spell the end of Windows RT? 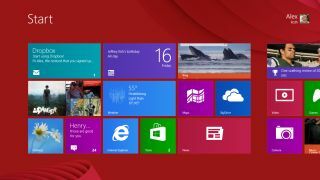 The beginning of the end for Microsoft's beleaguered OS? Microsoft's announcement that Windows will be free for tablets with screen sizes smaller than nine inches took a lot of people by surprise. The company will even offer a year's worth of Office365 free with every license. The move raises the question about the relevance of Windows RT. Sure, Microsoft mentions tablets, not Ultrabooks, but one may argue that hybrids are also tablets (since their displays are touch enabled). And since manufacturers have all but abandoned on Windows RT (swapping it for Google's Chrome OS), I fear the worse for what was once a promising operating system. I like Windows RT for that it was supposed to be: an attempt to move away from Intel and embrace ARM and its many benefits (low power consumption, low cost, versatility etc). But it went awfully wrong: lack of education and marketing commitment, poor initial implementation, failure to attract developers to the Microsoft Store and high launch prices meant that Windows RT was a doomed attempt from the onset. Fast forward to 2014 and it is a resurgent Intel that Microsoft seems to have re-fallen in love with. As Microsoft's Terry Myerson put it at Build 2014, "We've ported Windows to ARM, but one company that's really done some incredible work lately is Intel. " As it stands, Windows 8.1 works better than its predecessors on basic hardware (it can run on a 400MHz processor). Microsoft kept the minimum requirements for Windows 8.1 Update to 1GB of RAM and 16GB storage onboard. That's what you'd get on a near 6-year old Netbook. Intel has also worked hard (and focused its immense engineering resources) to bring its entire range of processors closer to the sort of performance per watt that ARM partners are currently delivering. It also added new features that one would expect from smartphones like instant resume, connected standby or day-long battery life. I expect to see a lot of hybrid devices, ultra-thin laptops and tablets that will come with 9-inch display, with a 1920 x 1080 pixel resolution (not unlike the Nook HD+) and with a full-fat, Windows desktop experience (with optional touch capabilities). With the right feature set (connectivity, optional keyboard, processor, onboard storage and system memory) and a sub-£200 price tag, it may well provide with a compelling solution to satisfy the needs of both consumer and businesses. All that adds to a change in landscape that all but negates any USP that Windows RT was supposed to bring to the table. Microsoft is focusing its resources on Windows (x86) and Windows Phone with Windows-on-ARM being the odd OS out. In other words, Windows RT is now obsolete and all but dead.